Each year, several of the deluxe resorts at WDW go all out with gingerbread displays in their lobbies that put all other gingerbread houses to shame! It’s a great tradition that brings a beloved holiday tradition to Walt Disney World in a completely “plussed” way that Uncle Walt would be proud of! Gingerbread House at the Grand Floridian. Photo by WDW Shutterbug. This year, in addition to the larger-than-life displays, you can find 4 collector pins to commemorate the gingerbread installations. Neat! The Contemporary Resort’s display has gained a lot of press this year – it’s a Mary Blair inspired Frozen-themed display depicting Arendelle, Queen Elsa, Princess Anna, Kristoff and Olaf! As an added fun touch, hidden Olafs decorate the display providing a fun eye-spy challenge! 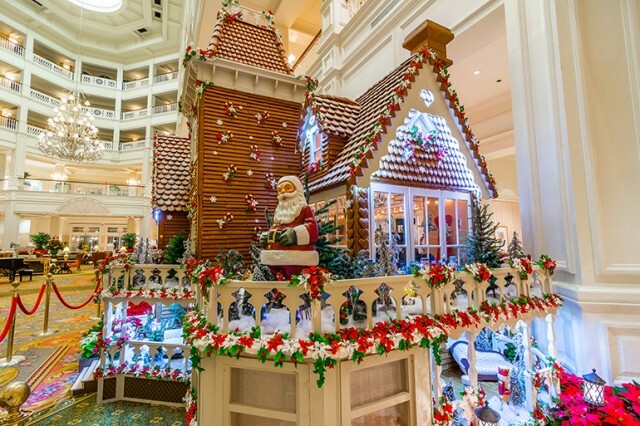 The Grand Floridian Resort and Spa has built a gigantic and elegant Victorian style gingerbread house. The Yacht Club Resort features a train display running through a gingerbread and candy village that’s all aglow with LED lights! The Beach Club Resort features a working carousel constructed from gingerbread, and the BoardWalk Inn has a Jersey shore inspired concession stand. If all that hotel hopping has you a bit peckish, don’t fret! 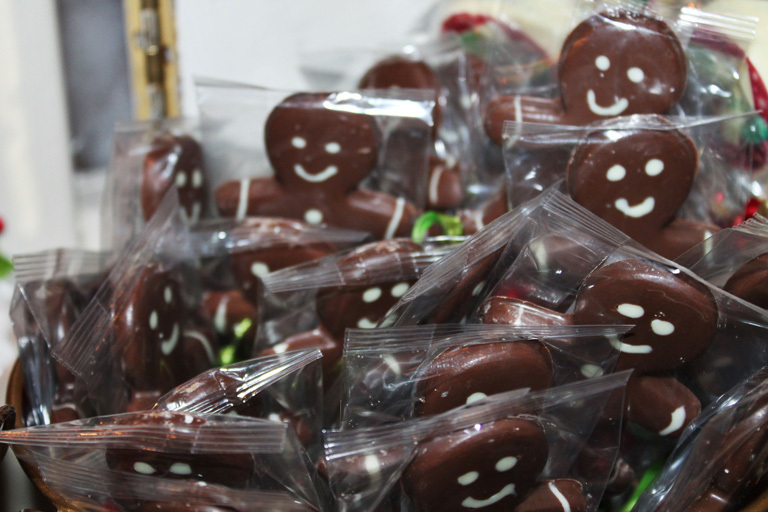 Each display has a concession area selling gingerbread cookies, ornaments, shingles, and gifts – as well as themed items like stolen, cake pops, oreo pops, or ice cream! Grab a snack! Photo by Aunesty Janssen. Have you seen the gingerbread displays this year? Share your pictures with us on our Facebook Page!